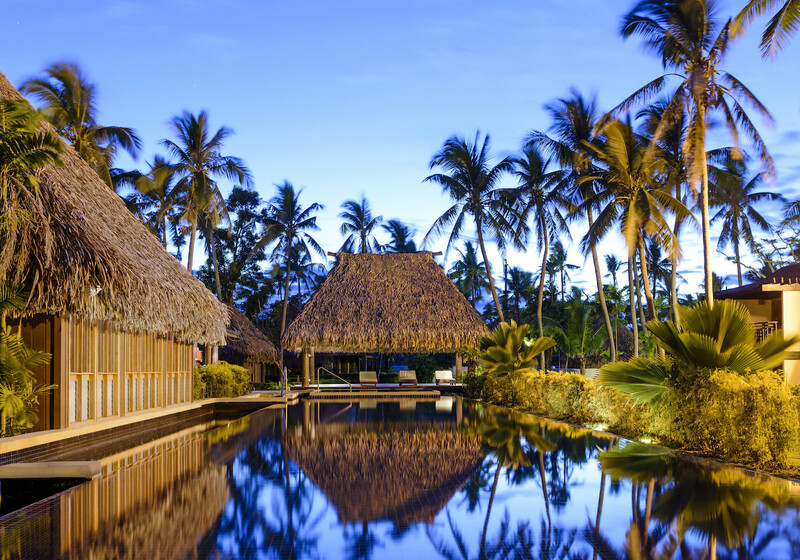 The Westin Denarau Island Resort & Spa in Fiji is a beautiful “homecoming” where you can enjoy the spoils of three hotels in one experience. 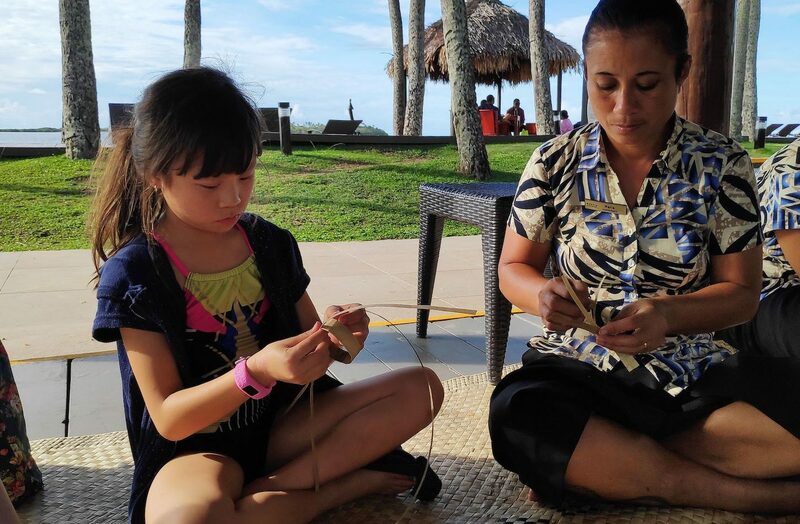 Sharon Ho has an unforgettable week away with family as she enjoys the Fijian hospitality, the people, adventures and a little luxury for good measure. 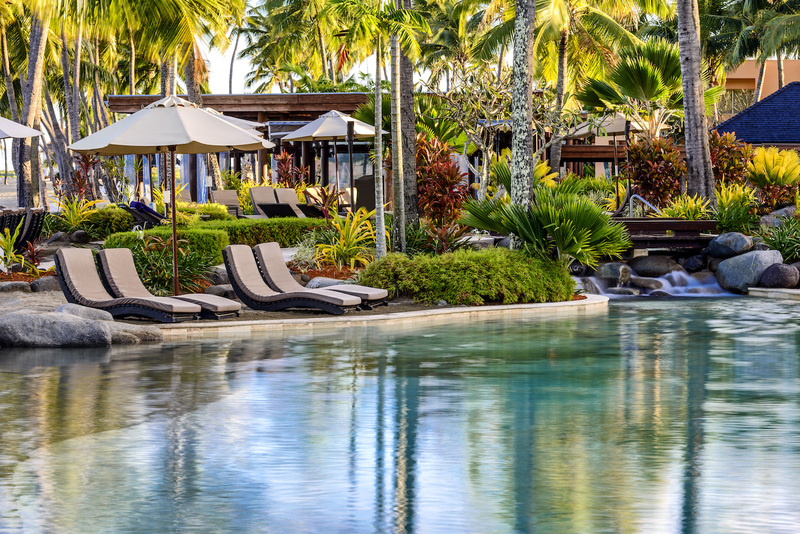 The Westin Denarau Island Resort & Spa, Fiji, is a place where time slows as you relax, enjoy the scenes and soak up the sunshine. As our concierge said while escorting us to our room on a buggy: “It’s time to leave your worries behind and enjoy.” That summed up our stay at the Westin. The resort sure did live up to its signature wellness philosophy of providing a good balanced retreat for young and old. 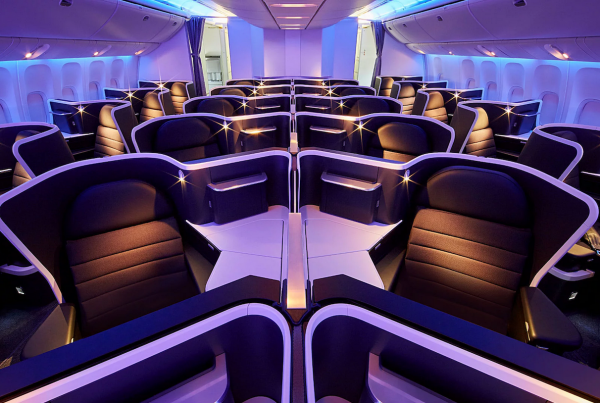 Virgin Australia flies direct from Melbourne with an 8.30am flight that takes five hours. You’ll arrive at Nadi at 2.30pm. 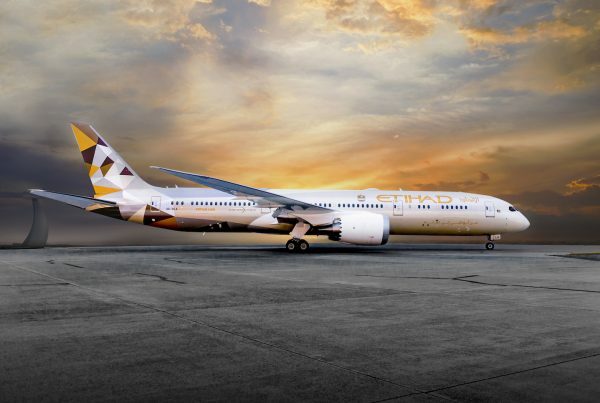 Direct flights are also available from Sydney (4hrs) and Brisbane (3hrs 40mins). Located in Denarau Island, the Westin is about 20 minutes by car from Nadi Airport and getting there is a breeze. Upon arrival, the customs and services at Nadi airport is friendly and efficient. Our luggage came out promptly and our one-week retreat in the land where everyone made you feel right at home instantly was officially on. Expect a warm ‘Bula’ greeting, which means welcome, followed by “welcome home” (to Fijians, their home is yours). Getting a taxi is easy, with a line-up waiting right outside the airport and prices are reasonable, about $20-25 to reach the Westin. Our driver Anil told us while sugar cane was Fiji’s No.1 industry, tourism comes a close second and many rely on tourism for an income. 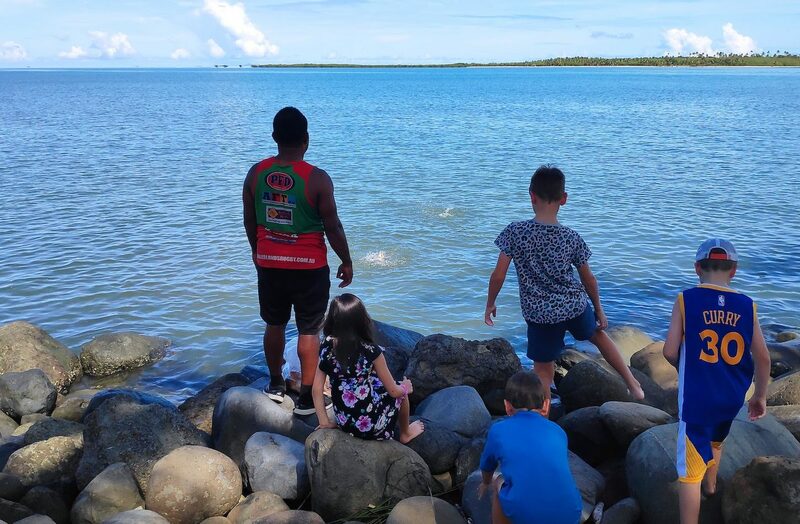 In recent years, especially during this time of the year, tourism has reduced as many tourists worry about the cyclones that sweep through Fiji. But according to Anil it hasn’t been that bad. There is occasional rain and strong winds but nothing too serious. And he was right as for us the weather turned out to be perfect – sunshine, blue skies each day. It only rained occasionally in the evenings but ended fairly quickly and the bonus was it helped cool the place down. In no time our taxi pulled up into the gateway of Denarau Island, a small island located in the west coast of Fiji. We drove past the Denarau Golf Club, which has an 18-hole course, and the Big Bula Waterpark with water slides, big waves for surfing, and more. Upon arrival at the Westin we were greeted with warm welcomes and the beating of the drums. 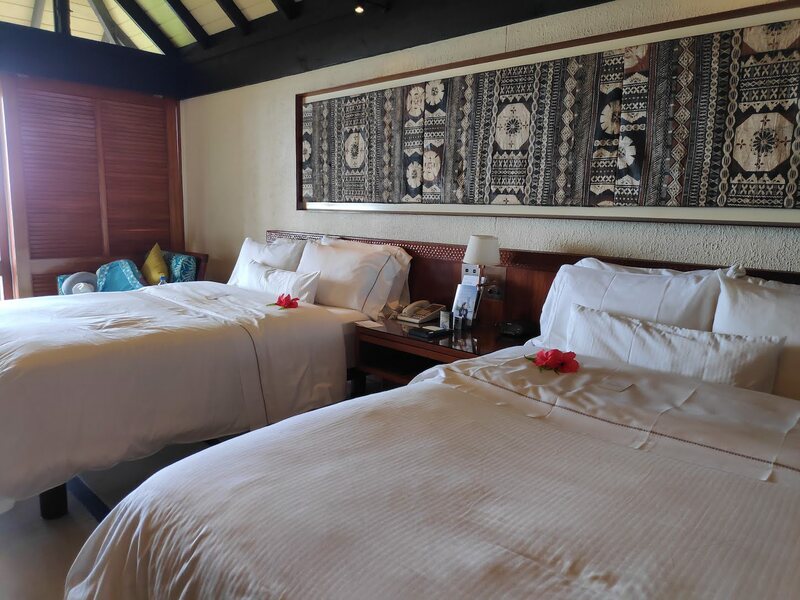 Rich timber flooring, plush textiles and local Fijian art pieces adorn the room and when combined with a beautiful warm tropical breeze that floated through from the room’s private balcony made everyone relaxed. Bathrooms are important for me, and I really loved the spacious double vanity space that was separate from the bathroom itself, freeing space and providing privacy for one to bath or shower while the other doesn’t feel rushed off their feet in front of the mirror. For families there is a Tropical Garden Suite option which has two bedrooms, one with a king size bed and another with two double beds, plus a kitchenette which is handy. We loved the Westin pools. They were well shaded by trees which made the pools a little cooler. There were clusters of pools in different depths which caters for all ages and that provided areas for kids to splash around safely or throw a ball about, without being in the way of adults or couples who may prefer more relaxing time in or around the pool. Two whirlpools were part of the cluster and under beautiful thatched bures – a great place to retreat and cool down from the tropical sun. The Westin also has an adult-only lap pool next to the gym and “renewal” spa rooms. Complementary Wi-Fi throughout the resort was brilliant. Being able to stay online, even when we crossed over to Marriott sister property at the Sheraton to use their facilities, was a plus. The resort also has a large playground for children and it is a good space to for kids when having a break from the pool. Our traditional Fijian dinner show at Coco Palms in the Westin resort was a great experience. 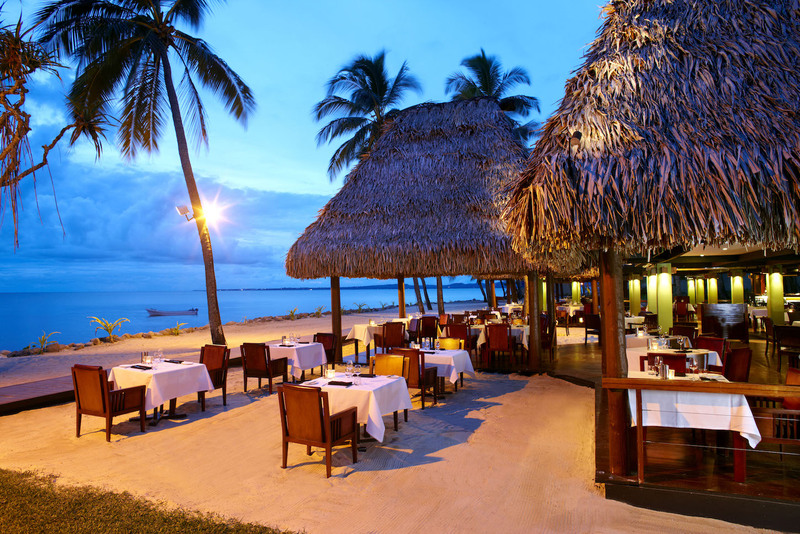 On Denarau Island, Coco Palms is the only venue that provides a Fijian cultural dinner and show experience like this. 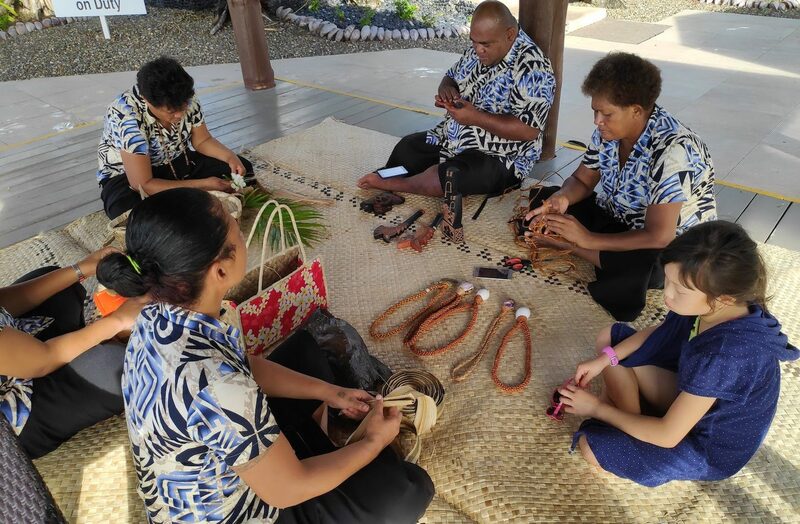 As we arrived, we were greeted by Fijian warriors and ladies dressed in traditional costumes who adorn guests and children with hibiscus flowers. A group of singers were already serenading the crowd with Fijian music while we were ushered to our table. The dining area is set under an authentic thatched bure style architecture and the theatre is an open area amongst lush greenery. 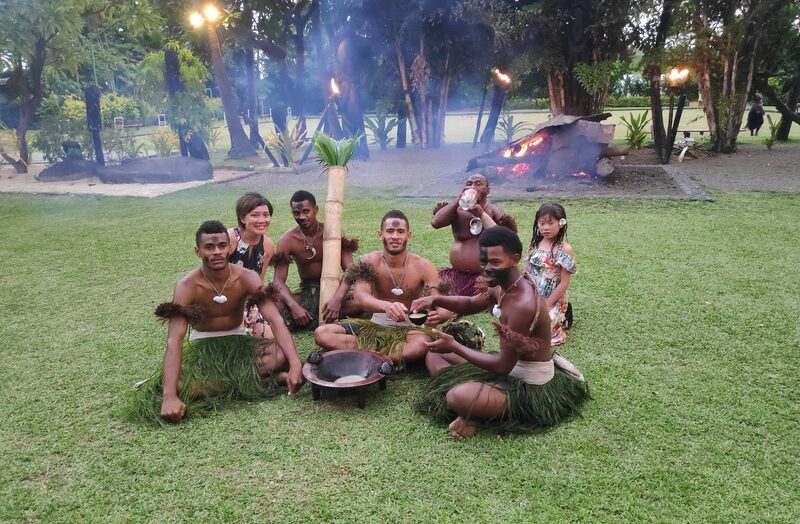 A brief history of Fiji is offered including a Kava ceremony and the spectacle of staff unwrapping the traditional lovo dinner that had cooked in the pit. Out came our ‘Underground Gourmet’ of succulent pig, fish and chicken. While we enjoyed the traditional Fijian banquet, we were entertained by a parade of tribal costumes, dancers and the fire-walking ceremony. Other food highlights included Ocean Terrace for breakfast at the Westin, spoilt for choice with a mix of continental and American breakfast favorites, as well as nutritionally-balanced dishes including their SuperFoodsRx selection like muesli, tropical fruits and a fresh juice station. Within the buffet, they also served sparkling wine if you’re up for a champagne breakfast. Only a few minutes walk over to the Sheraton, Vai Restaurant & Bar was our choice for dinner one night. We enjoyed a beautifully prepared three-course meal while being treated to a magnificent sunset. After dinner you can enjoy cocktails at the bar, watch a band and even have a dance or two. The Westin’s Heavenly Spa didn’t need to do a lot of persuading to get me in. 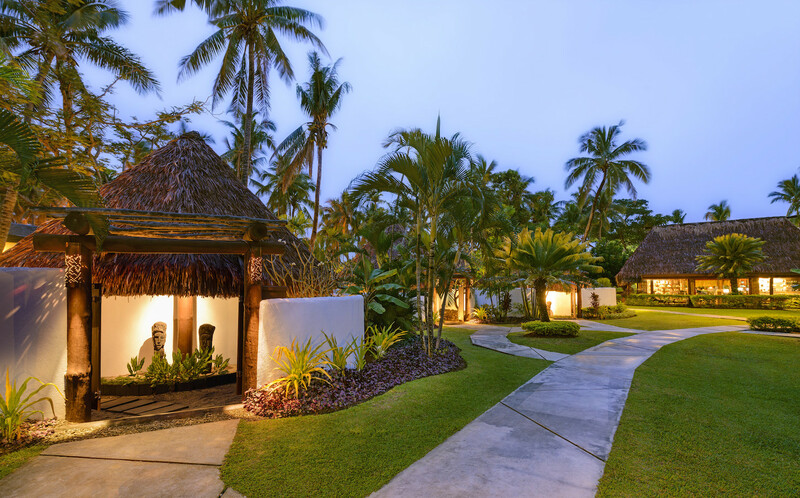 Hailed Fiji’s largest spa, it has 15 private treatment huts. Set within a peaceful quite quarters, tranquility washes through as soon as you step into its lush garden setting. I was shown to my hut by Sanjini, who then treated me to a very relaxing massage. After the treatment and a refreshing outdoor shower set within a private hut, I was shown to a most gorgeous deck overlooking a picture-perfect lotus flower lake. Settling into one of the day beds, I was offered a complementary choice of sparkling wine or fruit juice, which was a great way to end the session. I was so impressed that later in the week I booked my daughter and I in for a one-hour Paradise Pedicure and Foot Massage, which was such a lovely way to spend some mum and daughter time, hiding from the afternoon heat at our cool private room while chatting with our therapists Teresia and Payal. Each day there would be a group of local handicraft artists sitting under a hut next to the pool. It was part of the hotel activities available to guests. On our first day my daughter promptly made a bee line to the hut where one of the artists taught her to make a lovely bracelet out of dried coconut leaves. While she got on with her bracelet, another artist was making her a flower head garland. At the end of the activity, my 9-year-old felt like a Fijian princess adorned with a floral crown and beautiful accessories. Fish feeding was another listed activity and when hotel staff came out with a bag of stale bread at 9.45am and invited guests to the rocky edge of the resort that faced the sea, I was amazed. In masses, Sea Perch came close to the rocks and obviously knew it was feeding time. Hair braiding seems to be the top hairstyle at the island and you can have yours braided for a small fee. Stay in 1 and play in 3 – the ability to use the facilities of the other two neighboring Sheraton resorts (as they all are part of the Marriott family) was wonderful as it meant more choices. It was enjoyable to be able to hop in and out and trial different pools. 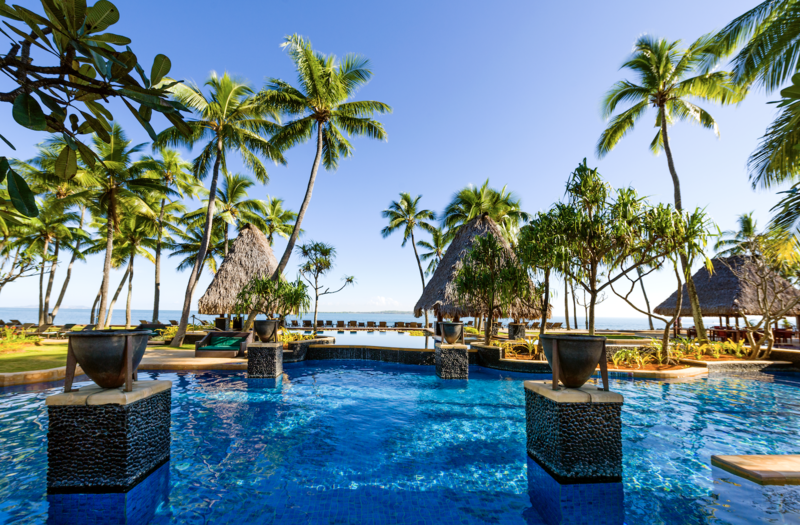 Sheraton Fiji Resort has a sandy point and lagoon style pool while Sheraton Denarau Villas had an infinity pool and a lagoon style swimming pool. You could also have breakfast in any of the three hotels. 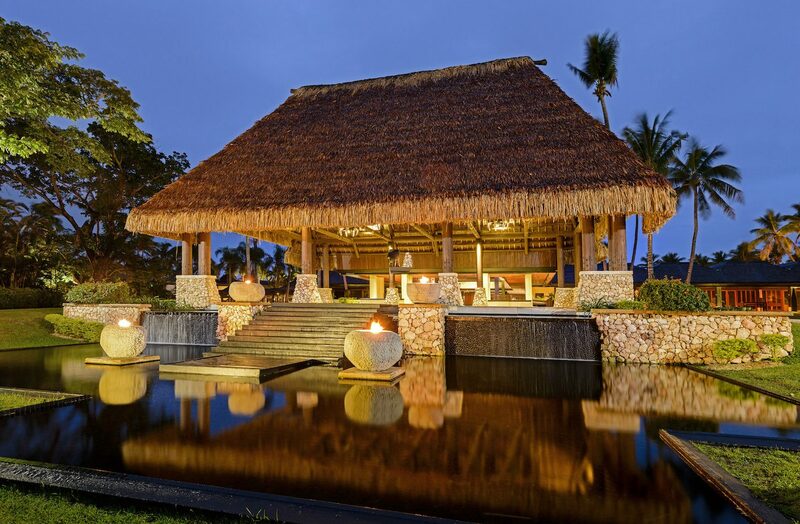 Fiji luxury blending wellbeing and balance for all ages. An effervescent optimist, Sharon comes from a marketing profession and has travelled the world through her career in London, Malaysia, Hong Kong and now Australia. From airline, hotel and hospitality, to non-for-profit experiences, she has always loved the diversity travel provides and enjoys the challenges and exciting content it presents both at work and in her personal life.